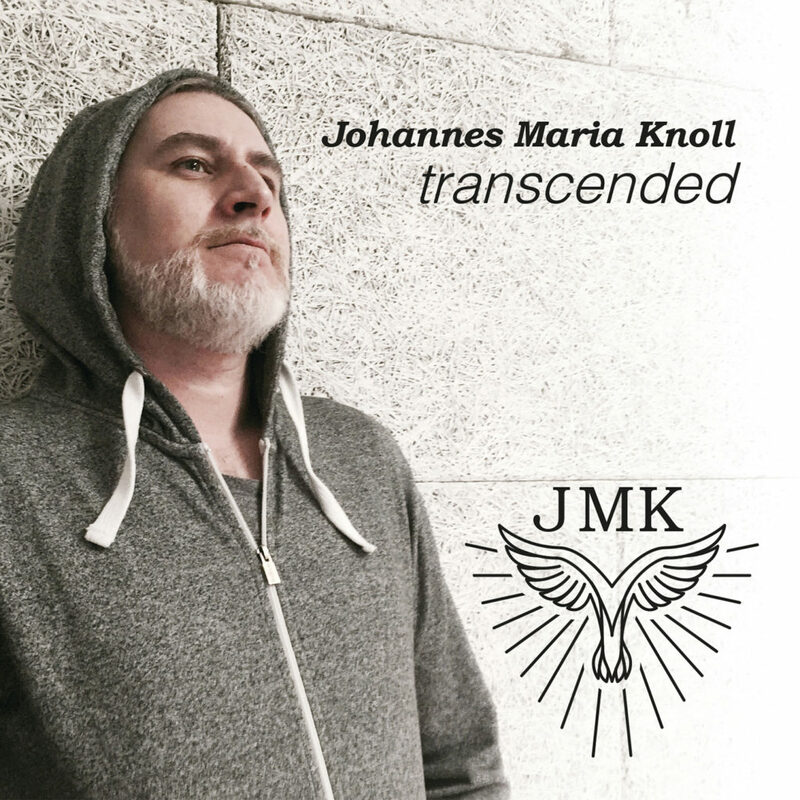 From Austria we came across the music of Johannes Maria Knoll, a talented musician and guitarist, who after 25 years of career and more than 200 collaborations with different international artists, he has taken over the studio and recorded ‘Transcended’, his first instrumental album . With a strong mix of Hard Rock and Blues, Johannes has consolidated his own style. ‘Transcended’ is an album inspired by the Holy Bible, a tribute to the passages of one of the most important books in the world. 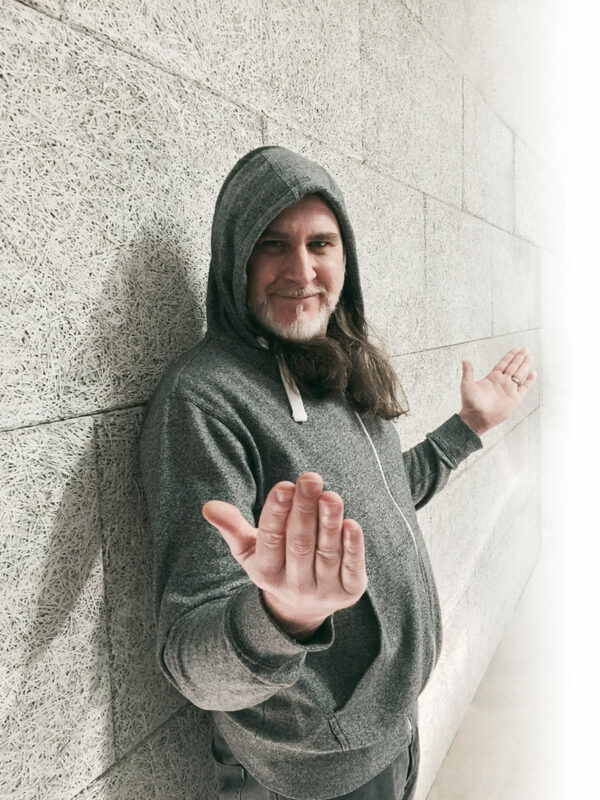 One of the ideas for the album was to try to create a soundtrack for the Bible, monumental and complicated task for somes, but it was not for Johannes. Somehow ‘transcended’ takes us on a sonic journey of 17 tracks full of distortion, chaos, darkness and light. An album that carries an incredible rhythm and intensity with bright and catchy riffs that make your head move from the first song. 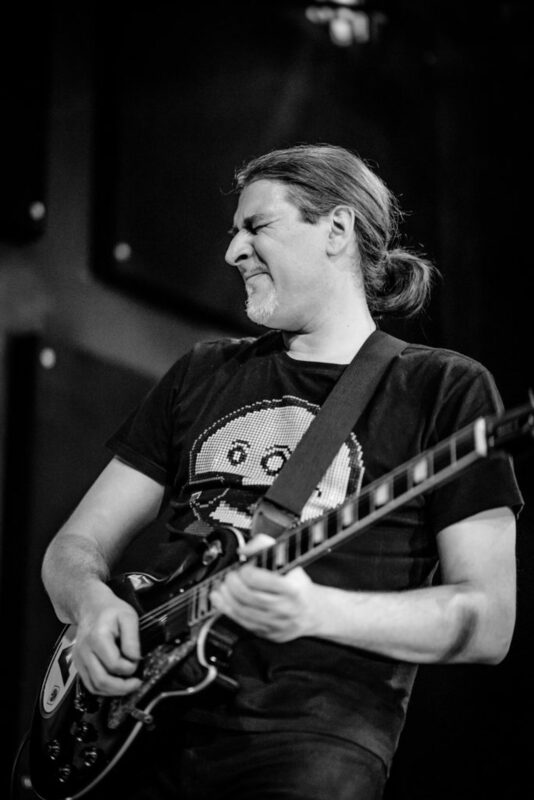 The real magic of the album lies in the message and the feelings that Johannes transmits with his guitar. Just as Link Wray did, where it was not necessary to use words for the guitar to speak and make you feel. What counts is the music and in this case believers or not, the album creates a direct connection where it is inevitable not to follow the rhythm of the songs and feel part of a trip or a story that is being told. Writing this, knowing more about the history of Johannes and the creation of his record, came to my head the classic ‘Spirit In The Sky’ by Norman Greenbaum, a successful song that he published in 1969 and has been used in a great number of films, tv series and commercials. Greenbaum wrote the song thinking about what made him happy, the vibe and the tranquility that transmitted him the thought to arrive at the sky one day. Greenbaum was right with the groove and the lyrics, an honest message that resonates and speaks the language of the whole world, the universal language: Music. With music we have the presence of our loved ones, memories, sensations. Those big and small things in life that impact us so greatly. Johannes achieved exactly that effect with his album and to this we must add that the album in its entirety rock! And you have to turn up the volume. The album opens with the powerful ‘Creation’ theme where Johannes begins to show his skills with his instrument, followed by ‘The Fall Of Men’ and ‘The Great Flood’ both with an explosion of distortion and guitar solos to bust the speakers. ‘Confusion of Tongues’ is a fast hard rock track. One of the highlights is ‘Lucifer’s Falls’ where once again the hard rock is present and with the title of the song we easily recreate the image of a devil playing a good guitar solo that breaks with the next track, ‘His First Coming ‘where an angelic and soft blues guitar makes presence and creates a peaceful atmosphere, song that serves as a very good example of the sonorous experience of the album and the composition of Johannes. Another of the qualities of ‘transcended’ is to enjoy the different elements and musical experience of Knoll as the pick of jazz guitar in ‘Joy’. Higlights: ‘Creation’, ‘The Fall Of Men’, ‘The Great Flood’, ‘Lucifer’s Falls’,’ The Sermon On The Mount ‘, Trials’. 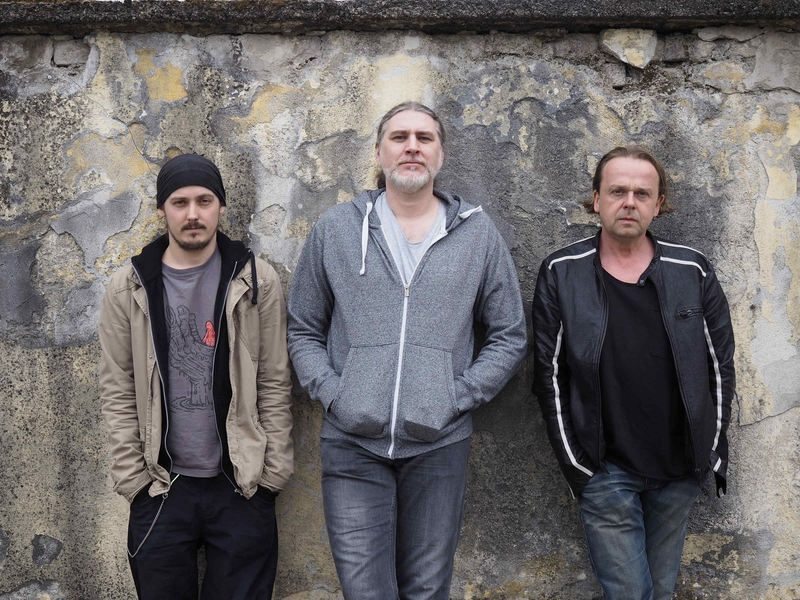 With impeccable production and with the help of Gerald Schaffhauser from House of Riddim and Lukascher on bass and Christian Eigner, current drummer of Depeche Mode. ‘Trascended’ is a record to listen from beginning to end and enjoy the ride and the experience. If you like rock! it is 100% guaranteed that Johannes’s work will catch your ear. We interview Johannes and he talked about ‘transcendend’ and the inspiration behind his album. The album and the whole band sound really awesome, congratulations! To begin with ¿What made you decide to take up the guitar?. First let me say. Thank you very much for your interest in my music! I really appreciate it! Well my first guitar was a gift from my parents. I got it back in 1982 when I was 8 years old. I didn’t ask for it so I was kind of thrown into the cold water! Haha!. Your guitar style is great! 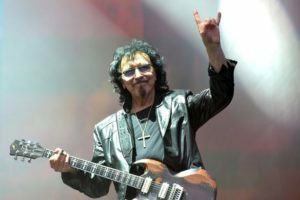 What are your personal influences as a guitarist? Are you self-educated or did you take lessons?. I started to take lessons when I was 8 years old. But my teacher always wanted me to play traditional folk songs. At that age I listened to Kiss and Iron Maiden so I lost interest very soon. But 2 or 3 years later I saw a TV-series called “The Waltons”. One of them -“Jason Walton” was a guitar player and he played a song and I thought: ‘Well, actually a guitar sounds really cool’. So I started again with another teacher who was really great. He introduced me to the music of Jeff Beck and Steve Lukather who became my main influence. I was blown away by his speed, his sound and his diverse technique. So I started practicing and practicing. That was a very good starting point. When I was 16 my teacher said, that he couldn’t teach me anything new and he introduced me to a teacher of the University of Vienna who had just founded a new branch of study called “Popular Music”. So I went to his place for an audition. I remember that i was very nervous. I played the Toccata and Fuge in d-minor by Johann Sebastian Bach. After I finished he was silent, turned around, went to his computer and started to type. I thought “Oh my god I’ve failed”. So i asked him what he was typing and he just smiled and said “Well I’ve just changed the conditions of admission to the university”. Haha! Although i was admitted i never started studying there because i was still in school and i was the goalkeeper of Austria´s handball junior national team. So i was very busy and it was simply too much. From then on i educated myself. I played in different bands with different styles from funk to metal and i listened to all kinds of music that had a great guitar in it. So i took pieces from every style and included them subconsciously into my playing. Nowadays i like every guitar player who’s able to express his feelings through music and who has got balls haha. So it’s not all about speed and technique anymore. For newcomers to your music, ¿how would you describe your sound and what others influences are behind?. It’s hard to describe….I think it´s a mix of Hard Rock, Metal with Blues- and even some Reggae-influences but always with a lot of guitar!. After 25 years of career, tell us what’s impacted you for the direction of recording your first instrumental album?. My girlfriend died in 2014 and as you can imagine this was a turning point in my life. I started to reconsider my life, rearranged some things, quit some bad habits and found God. After all this experiences I felt that finally i had something to say. Not through words but through my guitar. So i pressed the “record”-button. We always been interested in the insights of the creative process. ¿What is the story behind Transcended? Inspired in The Holy Bible ¿did you experience any cloudbursts of inspiration growing out of events in your life?. As i mentioned earlier the death of my girlfriend was the catalyst. I had always been searching for the meaning of life but through this event I started looking much deeper into certain things. I asked myself: ¿Why is the world like it is, what is God and what do the leaders of our world believe in?, So i spent days, weeks, months studying quantum physics, free energy, cymatics, the Torah, the Holy Bible, eastern religions, the Kabbala, the history of mankind, “conspiracy theories”, politics, the supernatural, aliens, demons and spirits. I interviewed priests, theologians, clairvoyants, physicists…This was a very intense and frightening journey that led me deep down into the rabbit hole. My whole world was turned upside down. Finally i came to the conclusion that Evil exists and can and is being worshiped. So with all this ‘knowledge’ it was time for me to choose a side. I accepted Jesus Christ as MY savior and Lord. I became a reborn christian and i can tell you since this ‘revelation’ every single day is a good day. But I want to point out that I am not a “traditional” christian ´cause i don’t go to church, i don’t belong to any community and i don’t want to convert anybody to anything. It´s just my personal relationship to God that matters. The Holy Bible helped me a lot not only on a spiritual level but also on my understanding of the whole world. So the idea came up to record a soundtrack of the Holy Bible. “Transcended“ is my confession to God, Jesus Christ, the Holy Spirit and represents the transition from my past to my present “I”. The dynamic of the album is very powerful, heavy riffs along and all the work of the bass and the drums, and also a very impressive production. You describe Transcended like a force, darkness, distortion, catastrophes, brutality, light, truth, salvation and love. This really heightens the cathartic nature of the music. It’s purging, painful, and beautiful. Tell us more about how you discovered this element of your songwriting. As an artist i may have the ability to express emotions through music. In general I am, like any other human being, inspired all the time. The interesting question for me is: ¿Who inspires me? Which frequency, or in other words, which energy plants a thought into my mind that finally becomes materialized or in my case audible? Positive ones or negative ones? In fact it’s both. When i am sad or depressed I´ll rather write a song in a minor mode with a downtempo beat. When I am happy in a major with a faster tempo. Though on an instrumental record I have no lyrics to support emotions I have to use certain tricks to gain the same effect. When I want to express for example “crying” I use a Wah-pedal that has this kind of weeping-effect. When I want a “screaming” sound I use a Whammy-pedal and so on. But in the end it’s the combination of melody, sound and feeling that´makes a great song. If in the end the listener is able to feel something then I must have done something right. Because “transcended” is the first record that is completely produced by myself I had no stress and all liberties. I was the boss haha!. Usually i don’t think that much while writing or recording. I just play. I search for a riff, program the drums and play the bass until i am satisfied and I can hear a song. For the production of “transcended” i also looked into some older songs on my computer that didn’t fit into any other previous projects or were too personal. It turned out that some songs were perfect for “transcended”. So i rearranged them re-recorded some things and put the lead-guitar on top. I found out that when everything is pre-produced it’s much easier for all other musicians. I just had to give the songs to Gerald Schaffhauser (bass) and Christian Eigner (drums) and they instantly knew what i wanted. So they just had to overdub my bass and drum tracks. This saved time and money. In the end we needed 3 days for the drums and 2 days for the bass which isn’t very long for 17 tracks. And i can tell you i am so thankful and i am humbled that Gerald and Christian played on my record because they really took the production to a higher level and helped to make my dream come true! So thanks once again guys!. Listening the album it gives a sense of a special journey of some kind is taking place. ¿Is this in keeping with the spirit in which you compose the music?. If you take for example the song “Crucifixion”. This is actually one of the older songs that I had on my computer. I wrote that song back in 2007 when i was really depressed, had a kind of burnout ,was angry with myself, the whole world, God and smoked way too much weed haha!. In this song i personally nailed Jesus Christ to the cross. I even sang on the song. The lyrics were “Wo ist Gottes Sohn?“ which means “Where is the Son of God?“. So I wrote this song in a period of time when I rejected God and completely doubted his existence. So it was perfect for the “Crucifixion”-scene. What made it special was that even while re-arranging and re-recording, 9 years later, with a different mindset i was still able to switch into the feeling i had during the time of writing. So “transcended” is without a doubt a journey through my emotional world – not strictly limited to a certain period of time. “Lucifer Falls” is awesome” and then it comes “His first coming”. It’s a very unexpected track, yet it works and is right where it needs to be. The song audibly is beautiful, but it feels that there is more heart involved. Tell us about this song. “His first coming“ is a very special song because it represents the birth of Jesus Christ. In my opinion this is one of the most important moments in the history of mankind so I tried to create a playback as sweet and as pure as possible. Before recording the lead guitar I tried to search for the child within myself and tried to get rid of all negative thoughts. I used strings, positive chords, a bluesy warm lead sound and even included samples of a baby giggling. Actually I can´t really remember more details because I really had a flow while writing it. When listening to it now I am still surprised and humbled by this song. I am very proud of it. ¿What did you enjoyed the most in making the album? I really enjoyed everything. Working together with Christian Eigner, Gerald Schaffhauser, Chris Scheidl (recording and mixing engineer) and Martin Scheer (mastering engineer) was a wonderful experience and i was able to learn a lot. Actually looking back “learning” is what i enjoyed most. And right now i am enjoying doing this interview! Haha!. Let’s switch now and talk about your previous works and many collaborations. ¿How do you feel about your output to date and how has been your progression musically? Well up to now i can be heard on more than 200 releases. The majority of them are Reggae-Productions because i have a close connection to a well known studio near my hometown called “House of Riddim“. The boss Sam Gilly produces an outstanding number of riddims (= playbacks) that singers from all over the world choose for their albums to voice over. So Reggae is a part of my musical life. Although i really like those albums i don’t have a very close emotional connection to them because it´s “just” studio work. Don’t get me wrong going to the studio and recording guitars is great but to have a band, to share the songwriting, feelings, visions and to develop a common project is something completely different. I miss that a little bit today because I am 43 years old and the days of „hey let´s form a band, let’s conquer the world“ are over. But that´s OK. “Transcended” was a big step in my musical progression because it brought me back to my roots. Sounds interesting ha? Going forward by taking a step back Haha! But to tell the truth I have a 9 to 5 job, I´ve got a wonderful new girlfriend with a 15 year old son and so priorities have changed and my time is more limited. Finding time to practice isn’t that easy as it was when I was 15. But I have my musical vocabulary that I can rely on without getting bored. But who knows what the future provides. About your gear ¿What kind guitar and instruments do you like to use?. Actually i am not a gear nerd. On “transcended” i used 2 modified Epiphone Les Pauls, a modified Ibanez JS 140 WH, a modified Ibanez RG-350 and a Fender “Richie Sambora” Stratocaster . When recording „transcended“ i wanted to stay flexible. I recorded all guitars with the Guitar Rig plug in and later re-amped the dry signal of the rhythm guitars with different amps. I used 2 different Marshalls, a Fender Cyber Twin and I borrowed a Randall, a Diezel, and a Laney from my friend “Freaky” from the band Epsilon. For my lead-guitar sound i kept the Guitar-Rig sound because it suited best. We would love to know more about your local scene. Any bands you think we should keep an eye on and an ear out for? ¿ When you are on the road which are your favorite albums to listen to or when you are stuck in traffic which one makes you not go crazy while waiting? Puh! Actually I don´t listen to music very often. I am happy when it’s quiet haha! But when I am in the mood for music I listen to Bob Dylan, Bruce Springsteen , Simon & Garfunkel , Neil Young, Bob Marley, Huey Lewis or Toto. Besides the record promotion, what are your immediate plans for the future? Staying alive haha! No – just kidding. I think I’ll start looking for bookings for “transcended”. Because ‘my’ drummer Christian Eigner is currently on World Tour with Depeche Mode. I can do this without any pressure. In autumn I’ll do some charity concerts with different bands. The rest is unknown. I am ready for anything. I’ll see what comes around the corner. I really enjoyed the record, still playing it now. Thanks so much for share your music with the readers of Pirate Rock Radio. Thanks for your time and all the best! Gracias! Saludos!